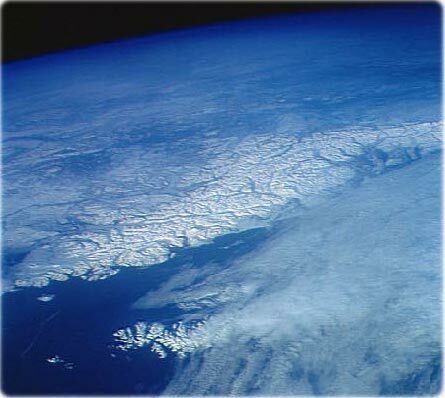 The Arctic is the region around the North Pole, usually understood as the area within the Arctic Circle. It includes parts of Russia, Scandinavia, Greenland, Canada, Alaska and the Arctic Ocean. 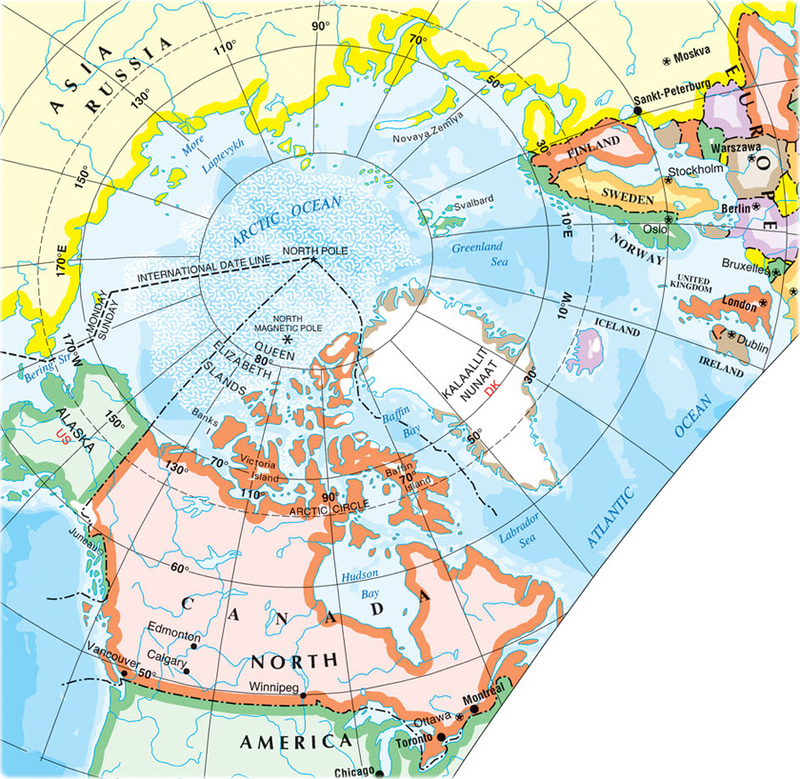 See a map of the Arctic Region. Iceberg in the Arctic region. Map of the Arctic Region. Source: Her Majesty the Queen in Right of Canada, Natural Resources Canada - 2005. This picture was taken by Jeremy Harbeck. It is an iceberg at North Star Bay, in Greenland. Kamishak Bay, Kook Inlet, Alaska (NASA). Family of polar bears in the Arctic region. 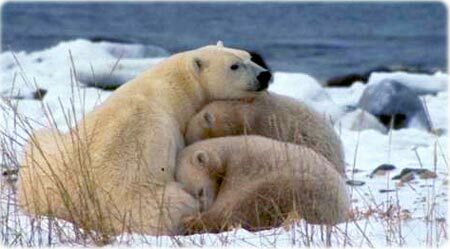 Polar bears can be found throughout Arctic regions, usually on drifting oceanic ice floes. In 1973, an international agreement allowed the hunting of polar bears only by local populations with traditional weapons. A couple of arctic fox. It is found throughout the Arctic, usually on tundra. Copyright © Geographic Guide - Environment.